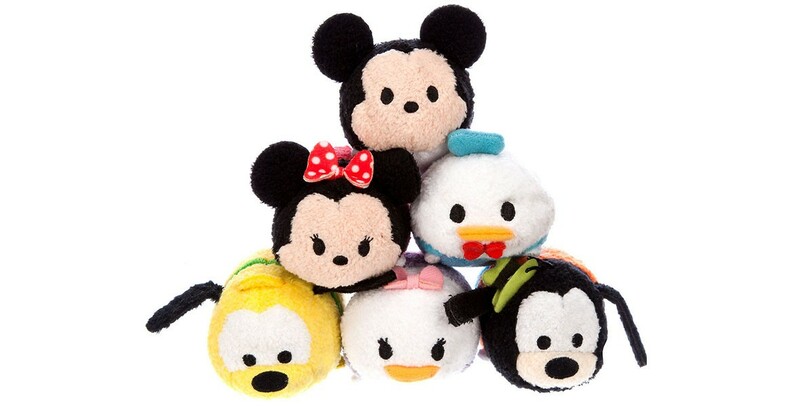 Disney Tsum Tsum Taken from a Japanese word which means “to stack,” this interactive game and line of cute plush Disney characters was introduced in Japan in 2013, and because of its great popularity there was brought to the U.S. in Jul. 2014, where it soon got a cult following. In the puzzle game app, Disney Tsum Tsum are collected, connected, and popped. The plush versions are meant to be stacked, forming a pyramid. Digital shorts featuring the Tsum Tsums have also been released on Disney Channel.